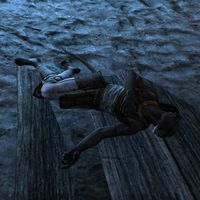 Adainurr was a Khajiit mercenary sent to kill the bandit Sgolag. His corpse can be found inside Mobar Mine. This page was last modified on 9 April 2018, at 00:50.